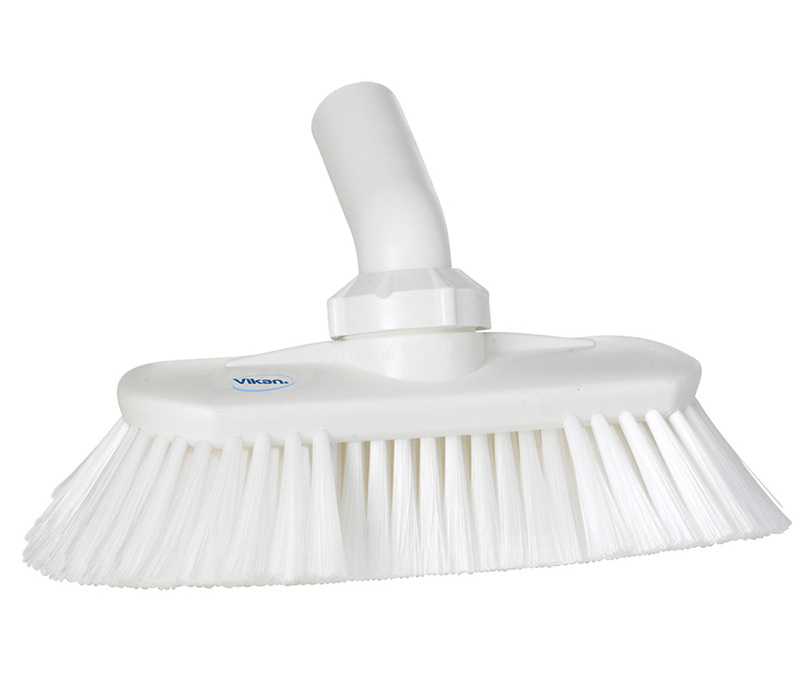 Angle Adjust Brush, This unique brush has split fiber bristles to absorb liquid so that the user is able to efficiently carry soapy water from bucket to the surface to be cleaned. The bristles are soft enough for sensitive surfaces, and the waterfed design makes it excellent for rinsing after foaming. It is also commonly used as a dusting brush. 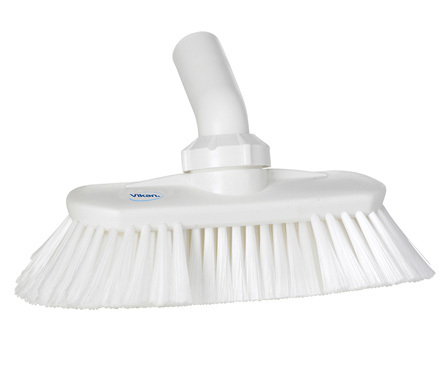 The neck angle is adjustable to allow all bristles to remain constantly in contact with the cleaning surface.